NATICK, Mass. -- It's known as the "golden hour," and it refers to the precious 60 minutes following a battlefield wound when proper medical treatment can be crucial to a Soldier's survival. 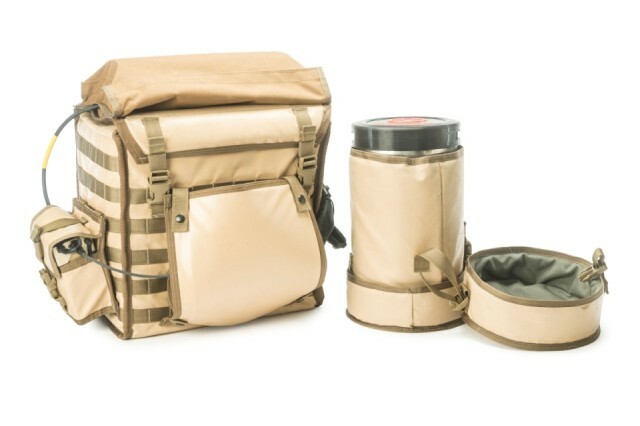 To help make the most of that time, Ben Williams of the Department of Defense Combat Feeding Directorate, or CFD, at the Natick Soldier Research, Development and Engineering Center, has developed the Golden Hour Ambulatory Rescue Pack, or "Golden HARP," which is designed to keep medical supplies cool in hot climates. The Golden HARP was funded through the NSRDEC's Bootstrap Initiative and is an upgrade kit for the previously developed HARP, which was designed specifically to cool intravenous, or IV, bags and bottles of water on the move. In places such as Iraq, average ambient temperatures can range from 95 to 120 degrees Fahrenheit, making it logistically difficult to provide warfighters in austere conditions proper on-site medical treatment. Blood must be kept at temperatures from 39 degrees F to 46 degrees F, while IV bags may be stored at higher temperatures but must be cooled to between 77 degrees F and 98.6 degrees F before use. "If you come under attack at a Combat Outpost, or while on the move, aren't going to get resupplied anytime soon, and medical evacuation is not an option … it would be great to have the Golden HARP available … just in case somebody gets hit," Williams said. "Now you have blood on-site, ready to go. "If you have limited or no power, this may be your only solution for prolonged cold storage at that important time," he said. According to Williams, the Golden HARP was designed to try and meet requirements recently generated by the U.S. Army Medical Materiel Agency, or USAMMA, which is looking to improve upon current mobile blood storage capabilities. After two years' work and testing, Williams produced the Golden HARP, a ruggedized, man-transportable platform that allows medical personnel to safely store, carry and monitor/actively control the temperature of its contents. 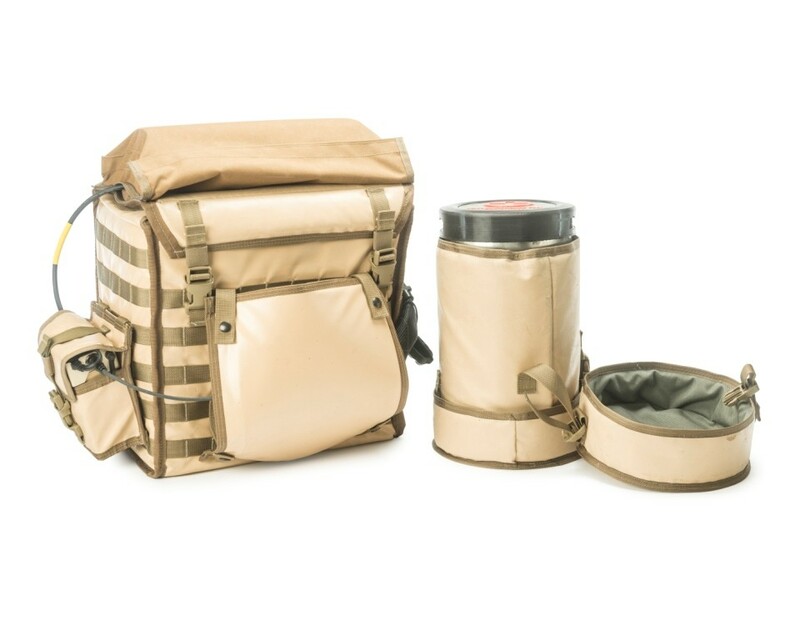 The unit can be used in the field in rotary-wing aircraft, vehicles, or unmounted and can accommodate up to two liters of medical supplies, which are actively cooled, along with room for ancillary items. 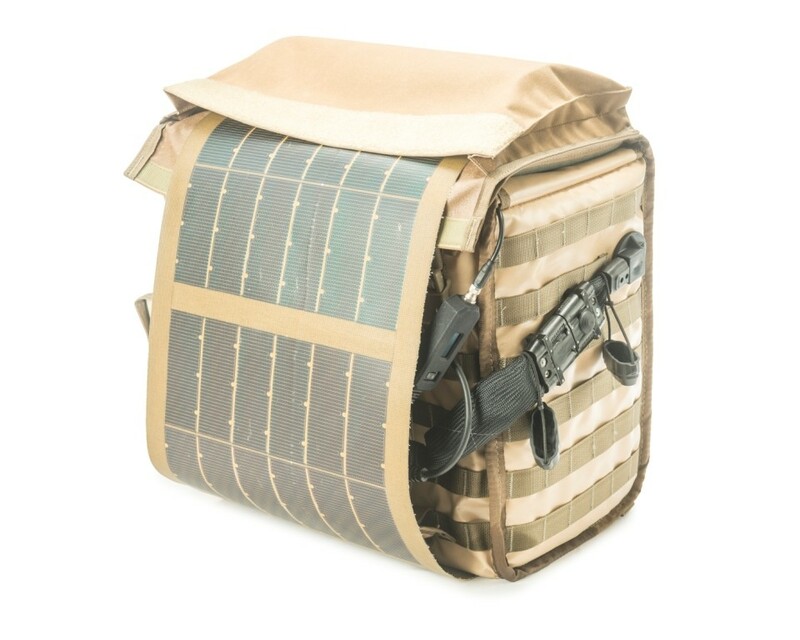 The system can also be attached to any MOLLE frame pack for easy transport in austere environments. 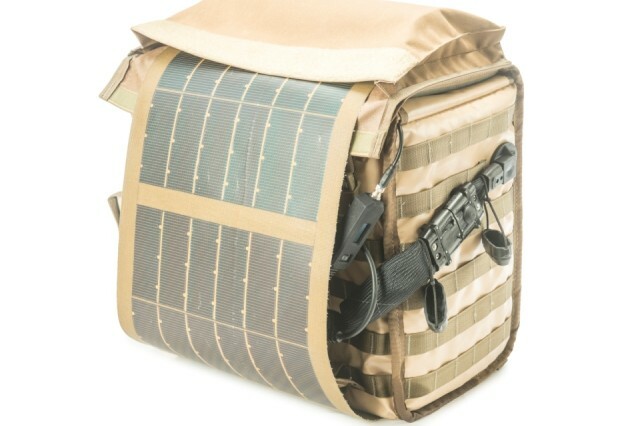 The system's BB2590 battery can be charged by its onboard, flexible solar panel. Eight hours of sunlight daily allows the Golden HARP to maintain temperature indefinitely without recharging or battery replacement, provided the ambient temperature is below 90 degrees F and ample sunlight is available. Using a single battery, the system is also capable of maintaining temperature with a full solar load (1,000 W/m) at an ambient temperature of 95 degrees F for a minimum of 111 hours, 115 degrees F for a minimum of 60 hours, and 135 degrees F to 155 degrees F for a minimum of 30 hours. Replacing the battery would result in a doubling of the storage times. "Solar power charging isn't new, but having it in something where it's actually this effective is pretty unique," Williams said. "The goal for me was to make the system run indefinitely, on the move, with high reliability and have it fully automated so there's minimal chance of user error, which could result in improperly stored medical supplies." The Golden HARP is also completely modular, meaning that any component of the system can be removed and replaced without tools or any expertise. The Golden HARP's Vacuum Insulated Cold Chamber, or VICC, can also be removed from the system and transported as a stand-alone, insulated container with no active cooling. 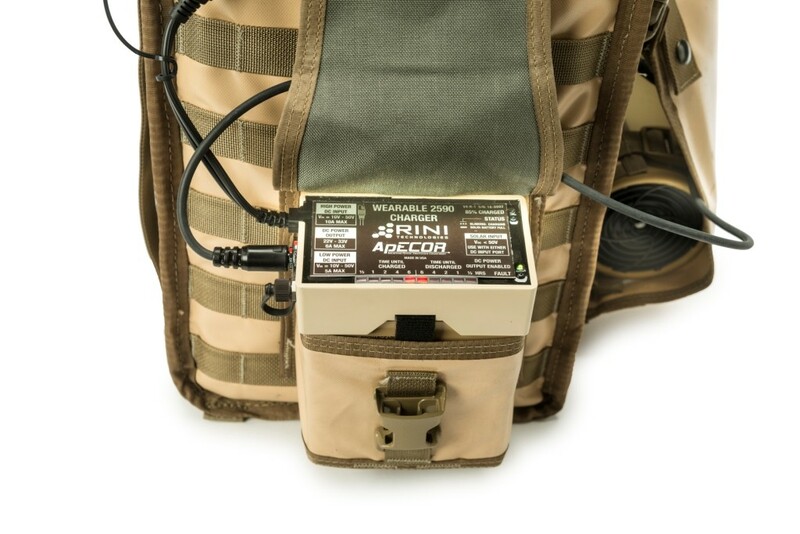 Other system features include active temperature monitoring and control; integrated diagnostics and user feedback capabilities; an external, back-lit display that shows the internal temperature and system status, which flashes if the VICC goes out of temperature; state of the art insulation; a specialized coating on the exterior of the bag to help reflect infrared radiation; and a battery charger that displays time until charged, time until discharged, charge status, and any electronic faults. "We're getting significant increases in performance over what's currently (out) there," said Williams, "especially when you factor in the maturity of the system's components, size, weight, durability and power requirements or lack thereof. This thing is next level, combining technologies that are just emerging." In mid-July, Williams sent the Golden HARP to USAMMA for a user evaluation and feedback. "This is no benchtop prototype," Williams said. "Hopefully, we can get some out into the warfighter's hands. Hopefully, it will be there during the Golden Hour, and hopefully, it will do some good."